These mushrooms are yummy with eggs, but just as nice on toast by themselves. 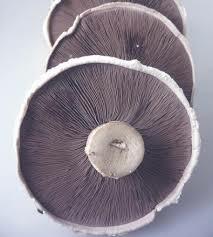 Good old field mushrooms make a nice substitute for the Swiss browns, and produce a delicious, rich black juice, too. Perfect for cooking and can be enjoyed all year round.